The Best Biology Youtube Channels from thousands of top Biology Youtube Channels in our index using search and social metrics. Data will be refreshed once a week. About Youtuber My name is Armando! I am a recently graduated medical student, and currently in my intern year. I make these videos cause I enjoy art and science. Im not saying im 100% correct in all my videos. About Youtuber This channel is made by me(Vipin Kumar Sharma)- a biological sciences enthusiast. I am trying to share my knowledge that I've acquired till date among the students who wants to learn biology. This channel is for all biology enthusiasts and for those who are preparing themselves for various competitions. About Youtuber Dr. Geetendra Singh is an eminent lecturer for competitive Botany & Zoology (NEET - AIIMS -JIPMER-BHU- other Medical entrance examinations). He is one of the famous lecturers of Biology in Medical entrance examinations. He developed a special interest in Biology during his PMT preparation days. He innovates various teaching techniques for Botany & Zoology. About Youtuber A free online biology exam preparation portal supporting students preparing for different competitive exams in biology. We provide simplified notes, syllabus, exam pattern, practice tests, previous solved question papers, multiple choice questions (mcq) and other resources. Jazir Haneef, basically a student in deep love with biology, Assistant Professor by profession and co-founder of www.biologyexams4u.com. About Youtuber HI THIS IS DR. S.K.SINGH (MBBS) Here i can help you provides Health awareness, Health Tips & Health related issues. I can also provides proper guidance and lecture videoes which really help out to crack NEET AND AIIMS medical entrance exams. About Youtuber Welcome to "CITY OF BIOLOGY" - A channel on Life sciences & all biological concepts. I’m a MBBS doctor and a passionate biology faculty . If you find that your life sometimes revolves around topics of biological significance you’re in the right place. About Youtuber My name is Kyle Kobe. I have been a biology teacher since graduating college in 1999. Since 2004, I have been a biology teacher at Beverly Hills High School. These biology videos are a collection of PowerPoint presentations that I use in my biology classes at Beverly Hills High School. The content in these videos are taught mainly to the 9th/10th grade level. About Youtuber I've created videos for the entire IB Biology SL and HL syllabus that I teach including Options A, D, and E. I have used the powerpoints, notebooks, and other visuals that I normally use in my class and I hope they help in your understanding of the topics. Focus on the BIG PICTURE of biology and you will see how a few major themes run through this amazing field of science. About Youtuber Hi, I am Vincent Racaniello. I want to be Earth's virology Professor, and this YouTube channel is one way I'm doing that. Here you will find videos from my virology lectures at Columbia University, from my science shows This Week in Virology and This Week in Microbiology, and interviews that I've done with microbiologists. About Youtuber Welcome to Biology Professor! I am Dr. Whitney Holden. On this channel, I post videos on a broad range of topics in biology, using my knowledge from a Ph.D. in Microbiology & Immunology. About Youtuber I like to call myself a science enthusiast and i am passionate about exploring the mysteries of Biology. My channel contains videos about basic concepts of biology. My idea is to share concepts that I acquired during my course so that other people could get benefit. I am currently pursuing my Graduate studies in neurobiology at Tata Institute of Fundamental Research. About Youtuber Hello everyone !! Learn with fun easy tricks for you. Also find videos on your queries and doubts. About Youtuber Cell Press publishes leading journals covering the full spectrum of biology. Our YouTube channel now showcases some of the important findings published in Cell Press journals. Explore the fascination of biology -- from the molecule to the population -- through videos generated by scientists at the forefront of modern biology. About Youtuber This channel is fully devoted for NEET -UG exam. All tricks and notes will be delivered here in interesting manner. Study biology with fun. About Youtuber Find videos on Biology related topics in this youtube channel. About Youtuber Education based channel for Biology (9th to 12th Class) CBSE and ICSE Boards. About Youtuber WELCOME OCEAN PEOPLE! I am a marine biologist PhD student, and I want to share with you my passion for the ocean, science, travelling, knowledge and whatever else. About Youtuber The videos on this channel were made to assist my students in their biology studies and to share some inspiring TED talks and video clips. It is a supplementary resource and does not replace any textbook or teacher guidance. Made using Adobe Spark Video (Adobe Voice-formerly). All icons are from The Noun Project-I am a pro-member but wish to always credit the talented artists. About Youtuber I am a high school science teacher at Milton High School (suburb in Atlanta, GA, USA). About Youtuber Simplified Biology is youtube channel which is committed to help students preparing biology for any competitive exam such as NEET, MCAT, AIIMS, JIPMER, JRF etc. It is run by Mrs. Ramneet Kaur. About Youtuber The Company of Biologists is a not for profit publishing organisation dedicated to supporting & inspiring the biological community. It offers further support to the biological community by facilitating scientific meetings and communities, providing travel grants for researchers and supporting research societies. About Youtuber Learnbiology.net : A-level biology lessons and revision notes / tutorials with dedicated exam practice. About Youtuber Find videos on biology. Biology is simple. About Youtuber Medical field made Easy. 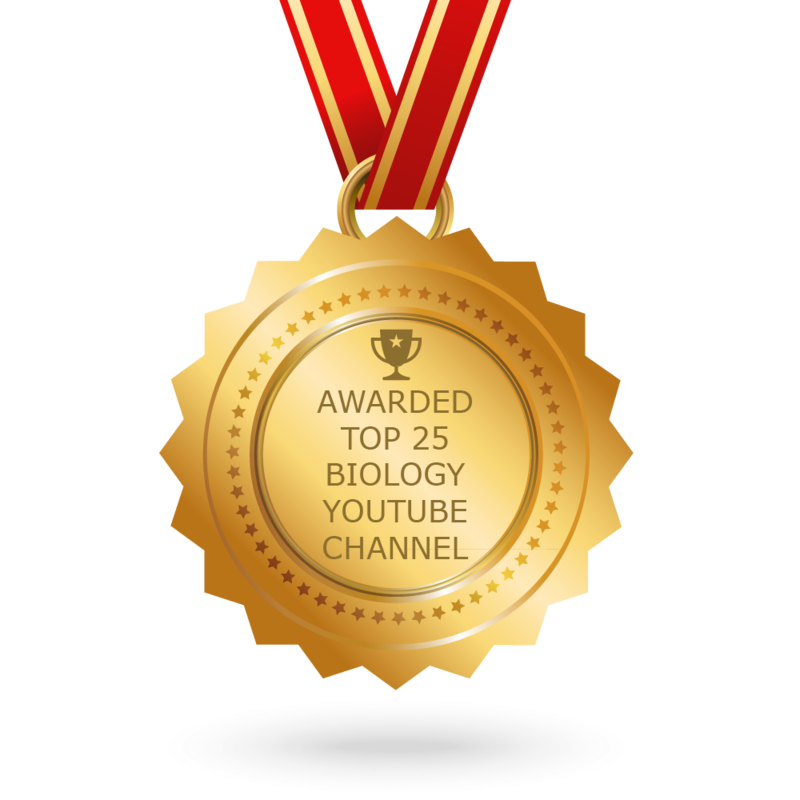 CONGRATULATIONS to every youtuber that has made this Top Biology Youtube Channels list! This is the most comprehensive list of best Biology Youtube Channels on the internet and I’m honoured to have you as part of this! I personally give you a high-five and want to thank you for your contribution to this world.